Stranger Things fond d’écran. 1440x900. HD Wallpaper and background images in the Stranger Things club tagged: photo stranger things netflix season 1 poster wallpaper widescreen 1440x900. 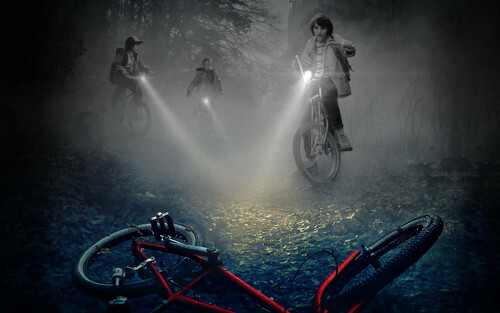 This Stranger Things wallpaper contains cyclisme, vélos de route, aller à vélo, vtt, vélo tout terrain, hors roader, hors route, and off roader. There might also be bicyclette, vélo, roue, cycle de, cycle, and fontaine.